Big Data is the future for businesses, as it aims to improve productivity, and reduce the wastes for businesses. It is a known fact that data as such is necessary for analyzing and strengthening the base of the company. Big data, which translates to large pool of data that is gathered, analyzed and used in decision making, has helped businesses conduct themselves profitably by forecasting the future, and strategizing their moves. In the age of information overload, data is being captured from every nook and corner, and it is being churned using various tools, to create meaning and value out of it. If you, as a business or an individual, wish to utilize big data to create value, then you need to understand its potential completely. Big data framework is huge, and the applications greater. 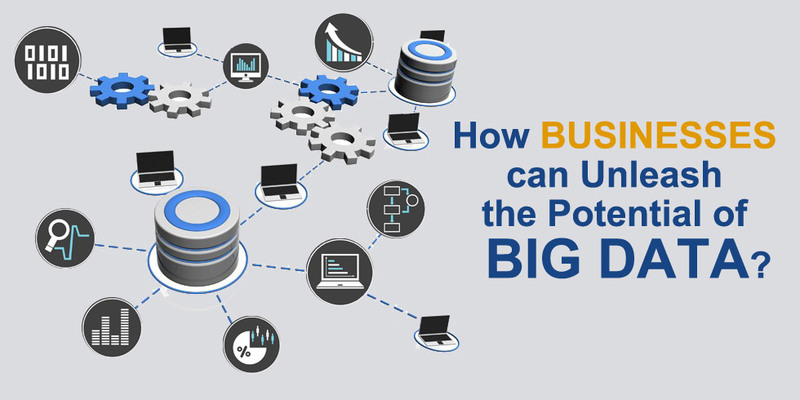 Let’s see how businesses can strategize big data to help improve their competitive edge. Here, you need to understand the data, specifically transactional data, which is available in your database. You will need to run some queries, and multidimensional analysis, in order to understand the data that is available. These queries, and the answers that are obtained thereby, will help you understand the situation, and help you come up with ideal decisions to manage the situation. Let’s say you are a retail business, and you need to identify the customer segments that prove to be profitable for your business. The answer will help you identify your short term and long term business decisions. The business intelligence tools used to run these queries and conduct the related analysis, come with dashboard capability, which also helps generate multiple reports. The report developers interact with the data made available from various departments and segments of the business like HR, CRM etc. The business intelligence tools have integrated the different segments of the business to make data availability easy and convenient. If you are a business planning to market your product/service to the target audience, how will you identify the target audience? There is data available, but analyzing that heavy size of data will not be possible by a single individual or team. This is where big data strategy can help you improve the marketing ability of your business. Data exploration is an ideal big data strategy that will help improve your targeting abilities. This strategy uses a large amount of statistics to explore the data, and identify answers to the questions, which most marketers tend to ignore. Predictive modeling analytics help predict user behavior while cluster analysis help identify the customer segments that have similar attributes. This strategy also helps identify the cluster or customer group that you can avoid targeting. Data mining techniques are a part of this strategy which helps retailers identify buying behavior exhibited by the buyer. Fast and direct results are obtained as a result of the statistical analysis. Organizations are looking at more effective and automated techniques to mine the data, and gather relevant results.